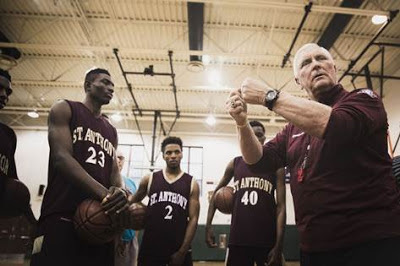 Part Four of Legacy: Bob Hurley introduces viewers to a coach that has transformed Saint Anthony high school into the heartbeat of a tough, unforgiving city, and instilled the values of commitment and success in the more than 200 Friars who have graduated and continued their careers at the collegiate level. Catch the 6-part documentary every Monday - exclusively on SHOWTIME digital platforms. After Winning State Title As 8th Grader Whats Next For Harmon? 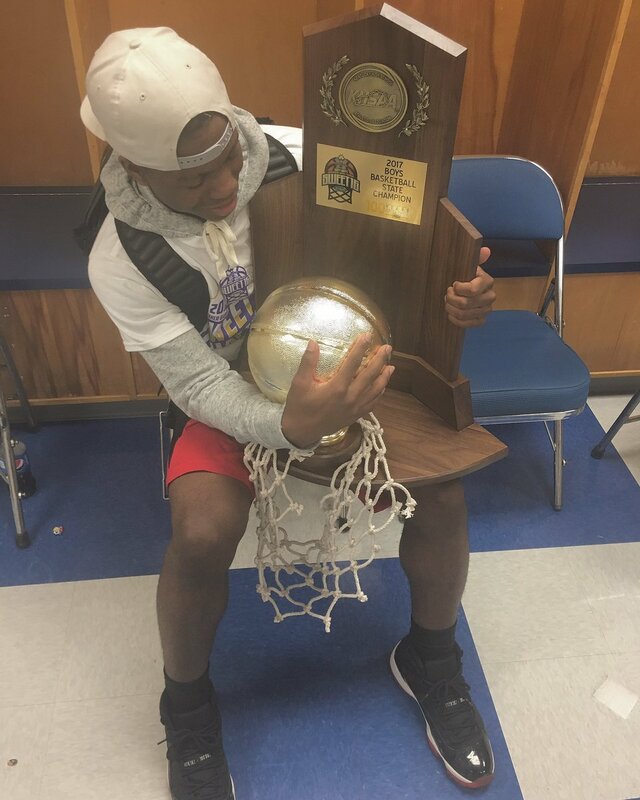 8th Grader Zion Harmon led Bowling Green to the Kentucky High School State Championship. Harmon scored 18 points in the finals which helped Bowling Green win their first championship in school history. Now the question is if Harmon will stay in Kentucky or return to the DMV area for high school? Zion’s dad Mike Harmon chimed in, “Zion has a number of options. I will let him grow and develop through the summer with Boo Williams on the Nike 17U EYBL Circuit. Kentucky Basketball, with its high level coaching, unbelievable fans and fervent love the game has been great experience for Zion. Ultimately we have to make best decision for his development” said Harmon. So I guess we will have to see what happens next with Harmon and Basketball Spotlight will keep you guys posted. The 2016-2017 Gatorade Players Of The Year for each state was announced and Basketball Spotlight is proud to say we have 8 alumnus on the list. Basketball Spotlight would like to congratulate all the players on this list and the others that were selected. Remember this is a huge honor. Zion "The Lion" Harmon Game Winners Sends Bowling Green To State Title Game! 8th Grader Zion Harmon continued his great play during the Kentucky High School Final Four by nailing the game winning shot. His shot helped his team reach the state championship. Emoni Bates of Ypsilanti, Michigan has become of the hottest name in the country for the Class 2022. This youngster broke o the scene last season with the Toldeo Wildcats and took the country by storm. 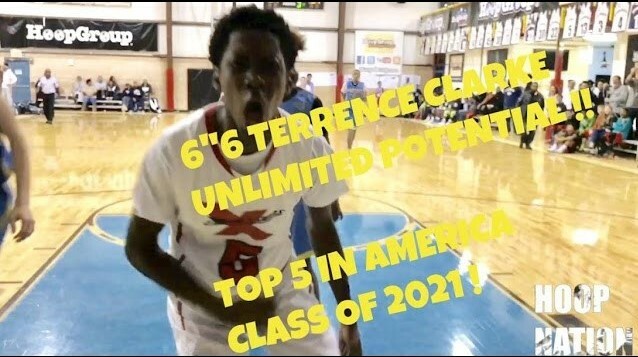 He w starred at all the top camps in the country including the Basketball Spotlight Future Phenom Camp, where he finished as the top prospect. In this episode of "The Bigger Picture" we take a look at Emoni Bates at the Bates Fundamentals basketball camp which was held in his hometown of Ypsilanti, MI. Emoni takes pride in representing his hometown so for a lot of top players to be competing in his city he had to show out! This episode is basically just an All-Access of the event. In episode 3 we will take a look back at how Emoni Bates became a national name. 8th Grader Zion Harmon Leads Team To Kentucky HS Final Four! How did the #1 8th grader in the country do in his debut at Rupp Arena in the Sweet 16 playing VARSITY? 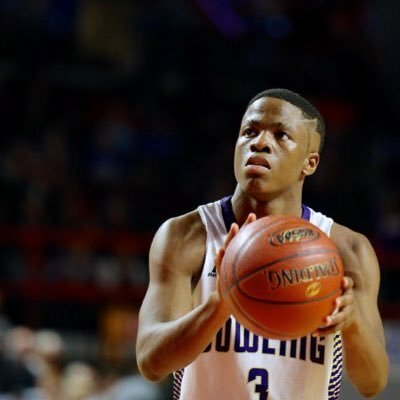 Bowling Green High School starting guard #3 Zion Harmon finished with 17 points, hitting 3 out of 6 from 3-pt. He shot 4 of 5 from the free throw line and also collected 3 steals in the Purples 68-51 win over Graves County. Basketball Spotlight Atlantic City Showcase Almost At Capacity! The AC Showcase looks like it’s going to be loaded once again this year. This event will feature some of the top teams in the region while also featuring two brackets for each level. Make sure you register early because a sellout is imminent. The Basketball Spotlight 5th Grade Top 10 Presented By AGame Team Apparel is listed below. This ranking is just our opinion and should be taken as such. Here is the 5th Grade top team. 1. Playtime Panthers: PP has always been one of the top baby baller programs around and this year is no different. After a runner up showing at the Tip Off Classic they took home the crown at the Clash For The Cup. 2. Riverside Hawks: The Hawks won the Tip Off Classic and finished in the final four of the Clash For The Cup. They will be prime for the Atlantic City Showcase. 3. Hoop Nation NYC: This talented bunch finished runner up at the Clash For The Cup and have become a good rival for the Playtime Panthers. 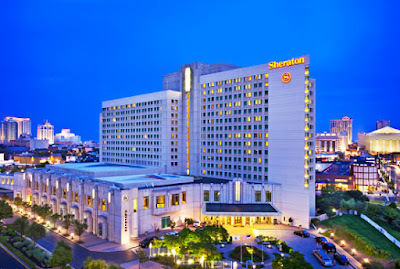 They are scheduled for the AC Showcase. 4. Team Durant: TD came to the Spotlight Clash and made a great impression with a final four run. This DMV crew is ready to go. Hopefully they will head down to the Atlantic City Showcase. 5. Silverbacks National: I like this crew. They weren’t at the Clash but will be ready to put their rep on the line at the AC Showcase. 6. NJ Shore Shots: NJSS made a good run at the Tip Off Classic. I love some of the pieces they have. They might be a great surprise during the Atlantic City Showcase. 7. 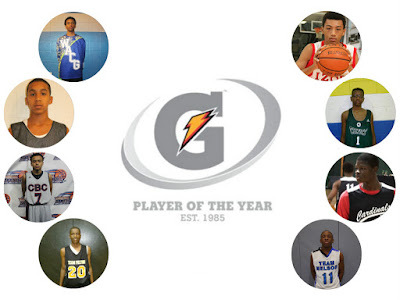 NY Gauchos: The Choz have one of the best teams on paper. Now they will bring everything together for the Atlantic City Showcase. I hope they are ready because the field is loaded. 8. Team IZOD: IZOD had a couple of tough loses at the Clash For The Cup. I’m sure they will be ready when they travel down to the AC Showcase. 9. Milbank: “The Bank” has some serious young talent. They are capable of giving anyone a good game. We will see how they respond in the Atlantic City Showcase. 10. NY Rens: The Rens bring their game each time they step on the floor. Doesn’t matter that they are playing up most of the time. The Basketball Spotlight 6th Grade Top 10 Presented By AGame Team Apparel is listed below. This ranking is just our opinion and should be taken as such. Here is the 6th Grade top team. 1. Riverside Hawks: RH returned to the top of the list after winning the Clash For The Cup crown. They got some of the top players in the region and should be a favorite in the AC Showcase. 2. Team IZOD: Team IZOD won the Teach Me Classic crown after making a semifinal run during the Clash For The Cup. They also will be attending the loaded AC Showcase. 3. Team Durant: This talented bunch made their Spotlight debut at the Clash For The Cup and made it to the final four. They are a scary team once they get their flow going. 4. Boston Spartans: BS made their name known during the Clash for The Cup. They have to be considered one of the top teams around. They are not to be slept on. 5. NY Gauchos: The Choz looked good as they made a quarterfinal run at the Clash For The Cup. They will be bringing their talents down to the AC Showcase. 6. New Heights: NH showed they had it together at the Clash For The Cup and should be a more dangerous team during the Atlantic City Showcase. Things should be thick down there. 7. Courtmasters Elite: CE has one of the most talented teams in the region. They showed they could get things done against anyone. 8. Milbank: One of the most exciting young teams around. They will also be a dangerous team at the AC Showcase. 9. NY Rens: I like this bunch. They lost a few close games at the Clash For The Cup but still has a chance to make a serious run at the AC Showcase. 10. Elmcor Basketball: I saw this squad at the Teach Me Classic championship game. They have some talented pieces. Basketball Spotlight Alums Isaiah Washington and Sid Wilson are current members of the JellyFam Movement. 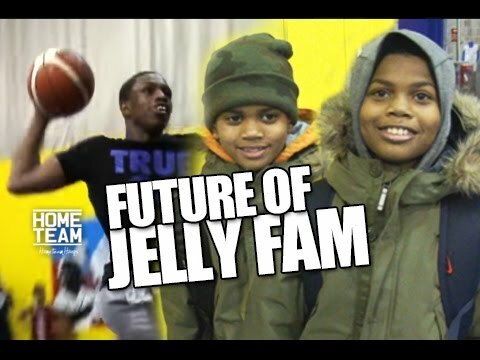 Their movement has taken the country by storm and now they have decided to look into the JellyFam future. Isaiah Washington and Jelly Fam member Sid Wilson Workout with Reim & Mel Mel (Jermel Thomas and Karriem Thomas. Jermel is Class of 2026 & Karriem is Class of 2023) at the place where "Jelly" all began. I’m so proud of all these kids and wish them the best. Basketball Spotlight 8th Grade Top 10 Presented By AGame Team Apparel! The Basketball Spotlight 8th Grade Top 10 Presented By AGame Team Apparel is listed below. This ranking is just our opinion and should be taken as such. Here is the 8th Grade top team. 1. NY Rens: The NY Rens new additions has pushed them into one of the top teams in the country. They ran through the Clash For The Cup and mercy ruled every opponent. Moussa Cisse, Shane Dezonie and Tristan Jeffries were great pickups. 2. Team Takeover: TTO finished as runner up at the Clash For The Cup. They have some serious players such as Trevor Keels, Victory Naboya and Chase Davis. Their tradition will greatly carry on. 3. New World Unlimited: NWU is probably the best defensive team in the country. They have been totally dominant playing in leagues and other events. When you add the Tip Off Classic Championship to their resume it makes them look even better. 4. Milbank: “The Bank” has been one of the most consistent teams in the region. They made the final four in the Tip Off Classic and Clash For The Cup. They are a real scrappy squad that plays with energy. 5. PSA Cardinals: The Cardinals return to Spotlight action for the Atlantic City Showcase. They have one of the front lines in the region and will be looking to return to the top. 6. Team Final: TF showed us something during the Tip Off Classic. Hopefully we will see them soon maybe in the Atlantic City Showcase. 7. Dynamic Disciples: I like the energy this new squad brought to the table. Mohammed Aminu is a nice shooting guard they you need to keep an eye on. 8. We R 1 Bulldogs: The Bulldogs are one of the toughest teams around and showed me a good showing at the AC Showcase. 9. NJ Playaz: The NJ Playaz showed some worth at the Clash For The Cup. Amare Marshall is turning into a wing guard to know in the Northeast. 10. Expressions Elite: The X didn’t have a good showing during the Clash For The Cup but should be ready to go once they hit the AC Showcase. Part Two of Legacy: Bob Hurley introduces viewers to a coach that has transformed Saint Anthony high school into the heartbeat of a tough, unforgiving city, and instilled the values of commitment and success in the more than 200 Friars who have graduated and continued their careers at the collegiate level. Catch the 6-part documentary every Monday - exclusively on SHOWTIME digital platforms.